An island steeped in cultural reverence and historical significance, Kaho‘olawe has long been a wahi pana, a sacred and storied place for Native Hawaiians. Referred to as Kohe Mālamalama o Kanaloa, Kaho‘olawe is dedicated to one of the four major Hawaiian gods, Kanaloa, the deity associated with voyaging, the deep sea, and marine life. A center for celestial navigation training, cultural and religious practices, and agriculture, Kaho‘olawe’s history is notoriously marked by a controversial era of intense U.S. military target practice and operation training that brought forth strong opposition, protests, and a movement to end the bombings and restore Kaho‘olawe. Today, Kaho‘olawe is a site of healing and a beacon for cultural preservation. To commemorate the past, present, and future of Kaho‘olawe, Maui Ocean Center has recently unveiled its latest exhibit, Kaho‘olawe: A Story of History and Healing. Created in collaboration with the Kaho‘olawe Island Reserve Commission (KIRC), the new exhibit features previously-displayed exhibit content used in the Ke Aloha Kupa’a I Ka ‘Āina (Steadfast Love for the Land) exhibit at the Smithsonian Museum in Washington, D.C. and the Kaho‘olawe: Rebirth of a Sacred Hawaiian Island exhibit at the Bishop Museum, Oahu. 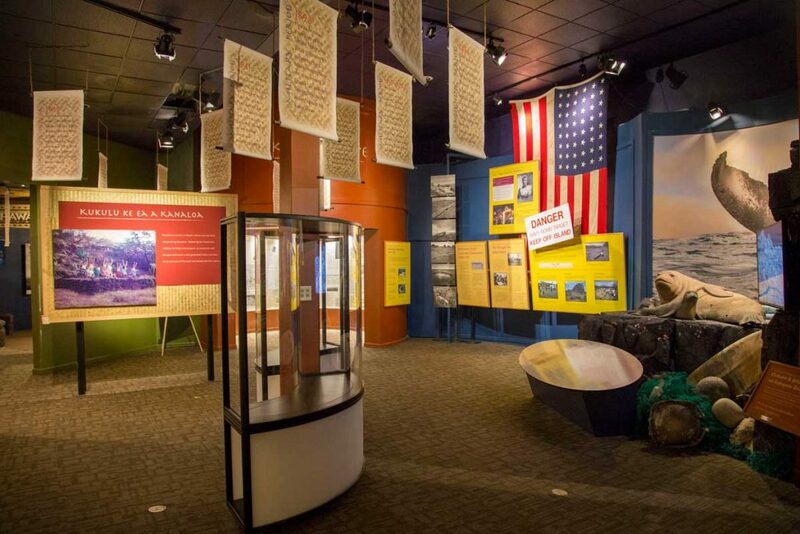 These exhibits played a part in a large-scale effort to raise awareness and garner support to end nearly half a century of military bombing and training campaigns on Kaho‘olawe. 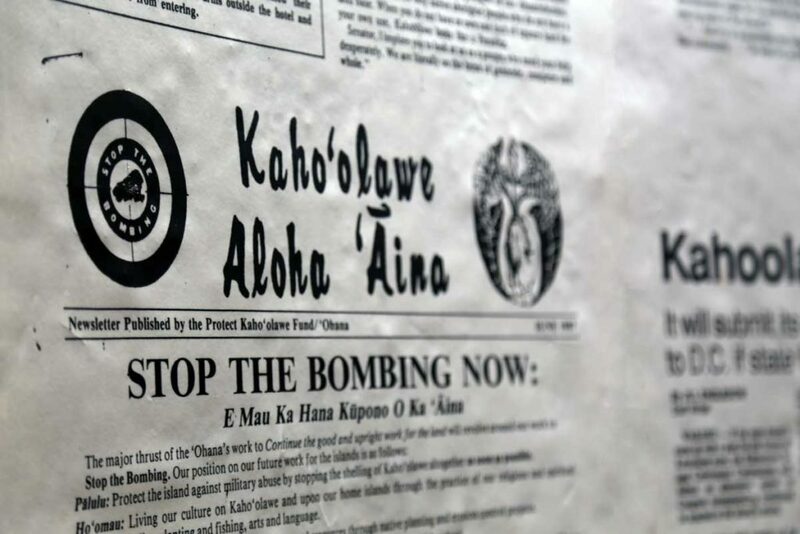 After years of protests and litigation put forward by the Protect Kaho‘olawe ‘Ohana, the order to end the bombing of Kaho‘olawe was announced in 1990. KIRC was formed to manage the Kaho‘olawe Island Reserve while held in trust for a future Native Hawaiian sovereign entity. Maui Ocean Center has supplemented these historic exhibit pieces with additional insight into Kaho‘olawe’s role in navigation, the marine life that inhabit its waters, and the role and progress generated by KIRC and volunteers, the latter of which will have an on-site presence within the exhibit. 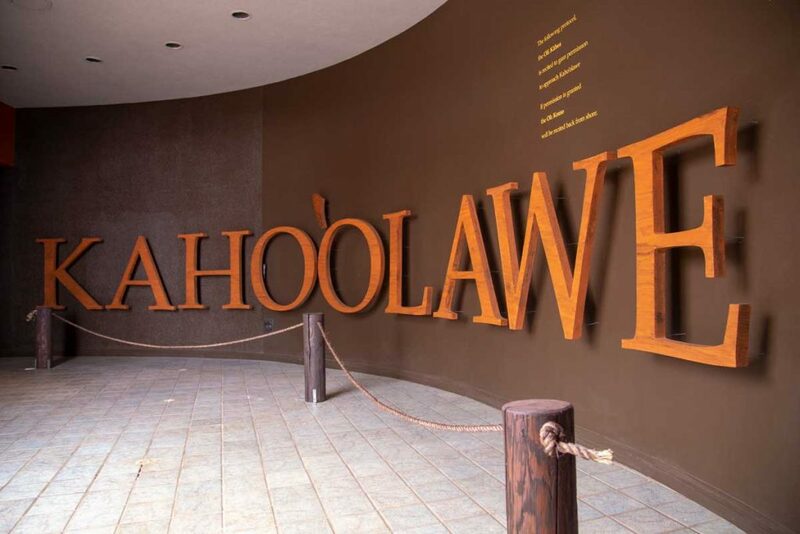 Designed to show the power of change, both good and bad, the exhibit follows the timeline of Kaho‘olawe’s development from the first settlement to current restoration projects. Upon entering, guests are greeted with a recording of the Oli Kāhea and Oli Komo, a cultural protocol used to ask for permission when approaching Kaho‘olawe. 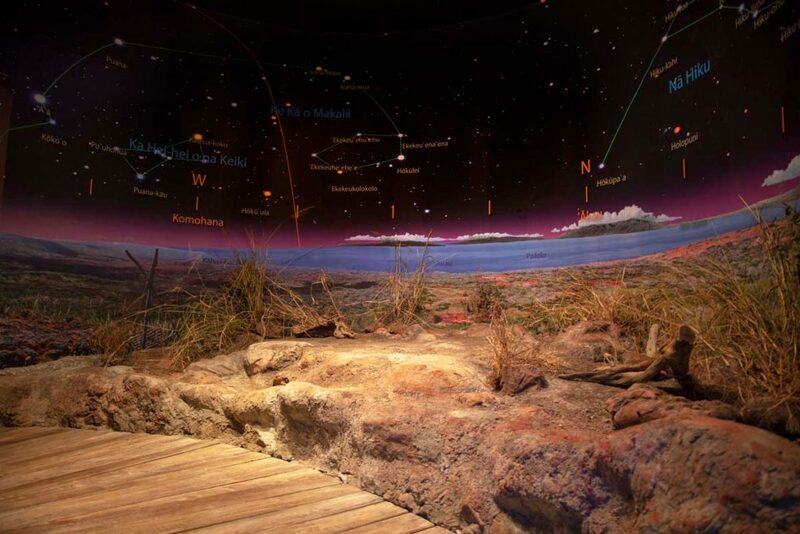 The first steps into the exhibit brings guests to a 360-degree representation of Pu‘u Moa‘ulaiki, a hilltop used to train navigators with panoramic views of major ocean currents, neighbor islands, and constellations. From this vantage point, many describe Kanaloa’s kinolau (physical manifestation) of the he‘e (squid, octopus) – eight tentacles stretch out through the ocean channels and islands of Hawai‘i while the head of the octopus lies at Moa‘ulaiki. 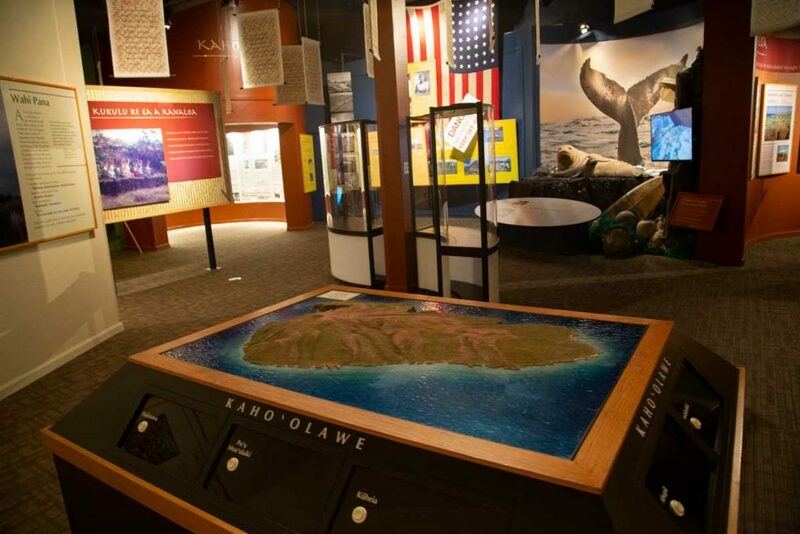 The exhibit’s chronological storyline consists of chapters that introduce the island’s geography, pre-contact settlements, ten of the island’s major wahi pana, the history between the U.S. and Native Hawaiian relations, cultural significance and role in today’s perpetuation of Hawaiian culture, and the hope for the future of Kaho‘olawe. 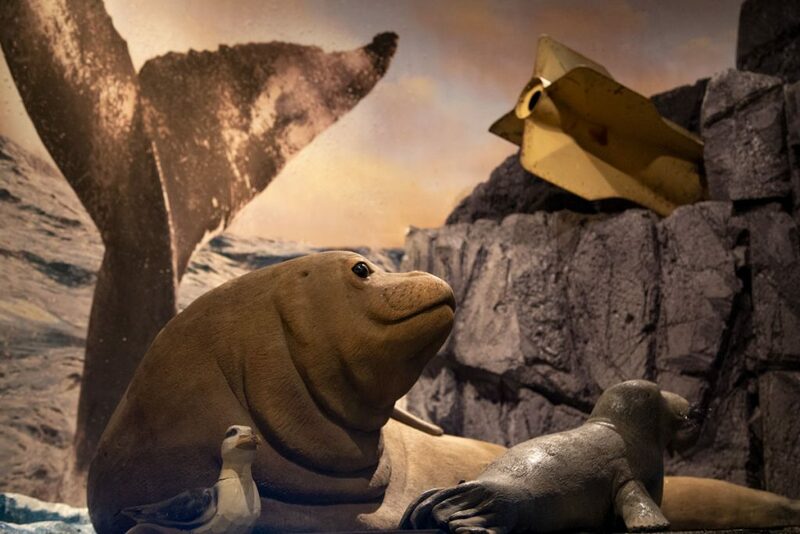 The exhibit features archival photography, historical newspaper clippings, an interactive exhibit of the island, and a coastal cliff with key Hawaiian marine species. Through this storyline, guests can see both the hurt mankind has caused and the attempts to heal the island environmentally, culturally, and spiritually. With the goal of creating further awareness of the culture, geography, history, and restoration of the island, the exhibit evokes the power and capacity to effect change and hope for the future of Kaho‘olawe.